A local company may boast the best surfboards around, but if it is situated in the Texas Panhandle a lack of sales could make waves. Similarly, a retirement home attempting to attract business through the latest technology might soon find itself in its twilight years. 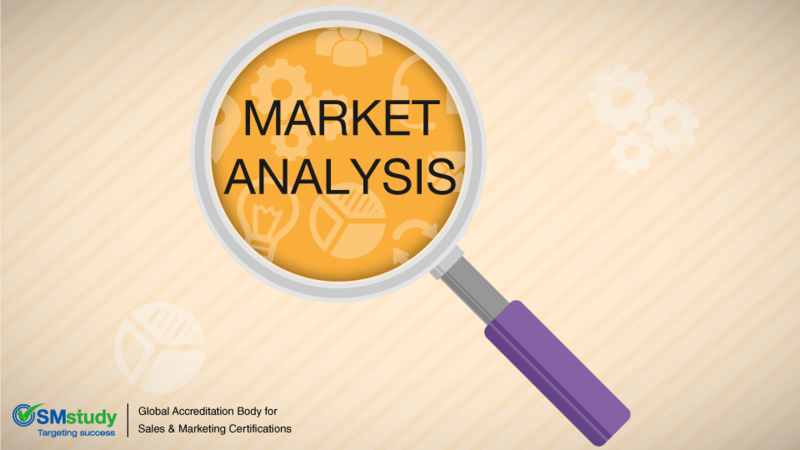 Companies that aspire to achieve sustained success in the marketplace must first perform a market analysis. Market Size—This dimension defines the size and potential of the markets under consideration. Market size is calculated on the basis of current sales volume for the market. Another important consideration for measuring market size is its future growth potential, so appropriate assumptions need to be made regarding market growth rates.Example of Market Size: The market for sports equipment typically varies from region to region. In areas with longer summers, the demand for tennis and golf equipment is generally higher. In mountainous regions there is a larger demand for skiing and hiking apparel. The population in regions may be similar, but the market size of each region may vary greatly for each specific product line. Market Trends—Trends show the overall growth or decline of a market, competitor activities and customer behavior over time. Current market trends can also help in predicting future market trends.Example of Market Trends: The timing of major sporting events often results in an increased demand for particular products. For example, branded soccer balls and jersey sales increase every four years leading up to and during the World Cup. Market Growth Rate and Profitability—Market growth rate forecasts use previous data and future trend indications to predict the future growth rate of markets. Product diffusion curves are used to predict inflection points in growth projections. Market profitability is often evaluated using Porter’s Five Forces model.Example of Market Growth Rate and Profitability: As international trade and growth in developing countries increase, it is possible to evaluate the potential acceptance rate of hi-tech features on bicycles in markets traditionally dominated by low-cost versions. For example, observing the patterns of user adoption of ceramic disk brakes in France may lead to an understanding of similar patterns in countries such as China. Industry Cost Structure—Value Chain Analysis can be used alongside industry cost structure to identify value-adding activities and reduce costs by eliminating those activities that do not add value. Focusing on activities that are critical to the company can help develop a competitive advantage and prevent wastage of resources.Example of Industry Cost Structure: In the twentieth century, the banking industry typically relied on physical branches for addressing customer needs. However, the cost structure for the industry has changed significantly in recent times, with many customers preferring to do most of their banking transactions online, or through Automated Teller Machines (ATMs). Distribution Channels—Analyzing the effectiveness of existing distribution channels and identifying emerging channels help a company understand its ability to reach customers and identify new opportunities to gain a competitive advantage. Companies with existing distribution channels may find it easier to launch similar types of products targeted at similar market segments.Example of Distribution Channels: As with most other industries, online sales and distribution have greatly impacted the marketing and sale of sporting goods. Online representation of the value of the product is crucial to ensure the customer is comfortable enough with the product to purchase it without actually being able to touch it. Relationships with shipping companies become equally important as the customer expects quick and reliable delivery. Key Success Factors—Identifying key success factors helps an organization focus on existing strengths that have contributed to success and seize opportunities that can give it a competitive advantage. Such factors might include accessibility to essential resources, distribution channels, patents, operational efficiencies, technological superiority and so on.Example of Key Success Factors: The success of an online swimwear provider may be quantified with a few key factors such as the ability of the customer to receive clothing that fits without the benefit of trying it on, the ability of the company to keep shipping costs low enough to compete with brick-and-mortar stores and the ability to offer a broad range of product choices to maximize the overall appeal of the site. Companies searching for success must be prepared to execute when presented with the opportunity. The prep work of any marketplace resident should include analyzing market size, market trends, market growth rate, industry cost structure, distribution channels and key success factors. David Aaker’s outline of the dimensions of a market analysis can be found in Aaker, D.A. (2010), Marketing Research, New Jersey: John Wiley and Sons. Would you like a Warranty for That Explosive Device? Awesome article. So thorough and well written. Looking forward to reading more from you!